Cast some light in to your reading area with a rustic swing arm wall lamp. Our Timber Ridge Pine Tree Swing Arm Wall Lamp will look great next to your favorite chair or at your bedside. 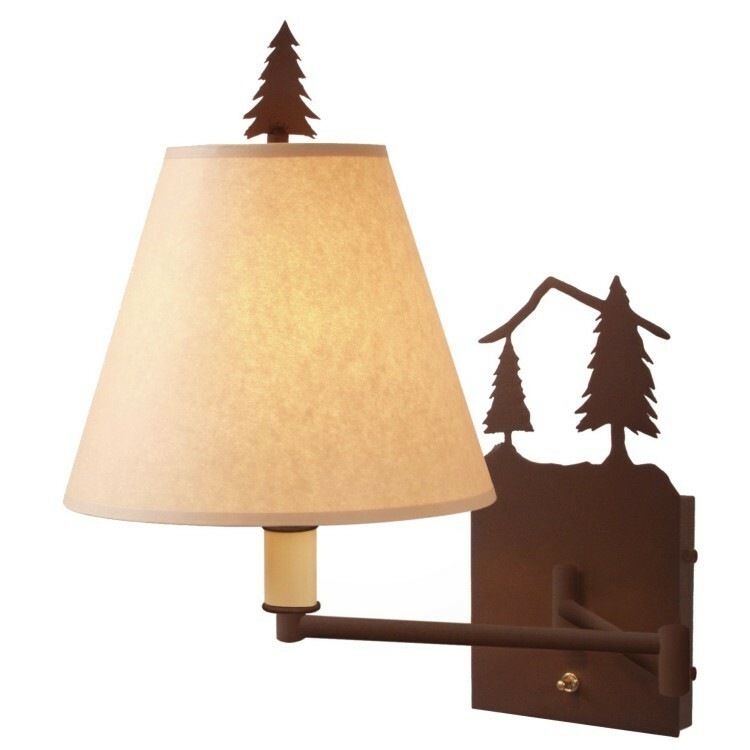 This wall lamp is available in your choice of six designer finishes and includes a pine tree finial and plain kraft shade.